Daniel Vicario, MD, ABIHM, joined the team at Guarneri Integrative Health, Inc. at Pacific Pearl La Jolla in September of 2017. 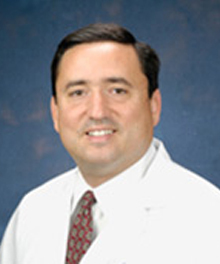 Dr. Vicario is Board Certified in Internal Medicine, Medical Oncology and Integrative Medicine. As a physician, he specializes in Medical Oncology and Integrative Oncology. For over three decades, Dan also studied, experienced and practiced several ancient healing traditions including Ayurveda. He’s been a speaker at multiple national and international medical and scientific conferences. Dr. Vicario graduated with honors from the University of Buenos Aires, School of Medicine in 1983. He then returned to his native California and was a Fellow in Clinical Pharmacology at Stanford University Medical Center. He did his Residency and was Chief Resident in Internal Medicine at the University of California Irvine. From 1989 to 1992 he specialized in Hematology/Oncology at the University of California San Diego (UCSD). He was then appointed Assistant Clinical Professor from 1992 to 1994. He has maintained a Voluntary position as Clinical Professor of Medicine at UCSD since. His research interests and publications have focused on Immunotherapy of Hematological Malignancies, treatment of advanced Head and Neck Cancers, comprehensive therapy of GU and GYN malignancies, Integrative Oncology and improving the quality of life of patients with cancer. In 1994 Dr. Vicario co-founded the San Diego Cancer Center (SDCC) where he was Medical Director for over 15 years. In 2011, the SDCC became part of the University of California San Diego (UCSD), and Dr. Vicario remained Medical Director until 2014 when he took a sabbatical. Dan also co-founded the San Diego Cancer Research Institute (SDCRI) in the year 1998, a non-profit 501(c) (3) organization. He created and directed the Integrative Oncology Program at the San Diego Cancer Center beginning in 1996. Dr. Vicario has served the San Diego community in a wide variety of non-profit health care related functions since 1992, including Medical Director of three Hospices for several years, Chairman of Cancer Committees, several Professional Advisory Boards, speaker for Survivorship San Diego since 1996. He has also been the recipient of several awards. Dr. Vicario has been teaching for over 30 years. He feels that his patients are and have always been his real and true teachers. If you have been diagnosed with cancer, an Integrative Oncology consultation can help you approach your condition and treatment from an integrative, holistic point of view. An integrative consultation is intended for patients who are currently under the care of an allopathic cancer treatment team and want the added support of a medical doctor who is a medical oncologist and expert in Integrative Oncology. Dr. Daniel Vicario supports patients as well as their family members and caregivers. During your consultation, he will review with you, from an integrative oncology perspective, your diagnosis and current treatment plan. He will answer any questions you have and work with you to develop an integrative healing approach that fits your individual needs. Dr. Vicario will also share evidence-based complementary approaches and healing modalities that can benefit you by improving your ability to heal and enhancing your quality of life. These healing modalities include optimal nutrition, meditation, yoga, acupuncture, massage, physical activity, support groups, biofield therapies, music, arts, visualization, and many others. He will discuss, in detail, how these integrative healing modalities can significantly help you on your healing journey. Dr. Vicario strongly encourages the cancer patients to also consider working with health care practitioners such as those experienced in Naturopathic Medicine, Traditional Chinese Medicine and Ayurvedic Medicine.